Brian and I like to go all out when making breakfast on Saturday and Sunday mornings. Stuffed french toast, bacon-apple pancakes, the list goes on and on. But when Monday morning rolls around and we’re rushing to get out the door, yogurt and a quick bowl of cereal seems to be our go-to. In need of a little yumspiration during the week we whipped up a mini version of our breakfast strata. The personal-sized french toasts are baked in muffin cups making them the perfect bite to reheat for a quick and delicious mid-week breakfast. 1. Cut the challah into 1-inch cubes and set aside to dry out (overnight is best, but I’ve let the bread sit for as little as an hour in a pinch). 2. Preheat the oven to 350°F. 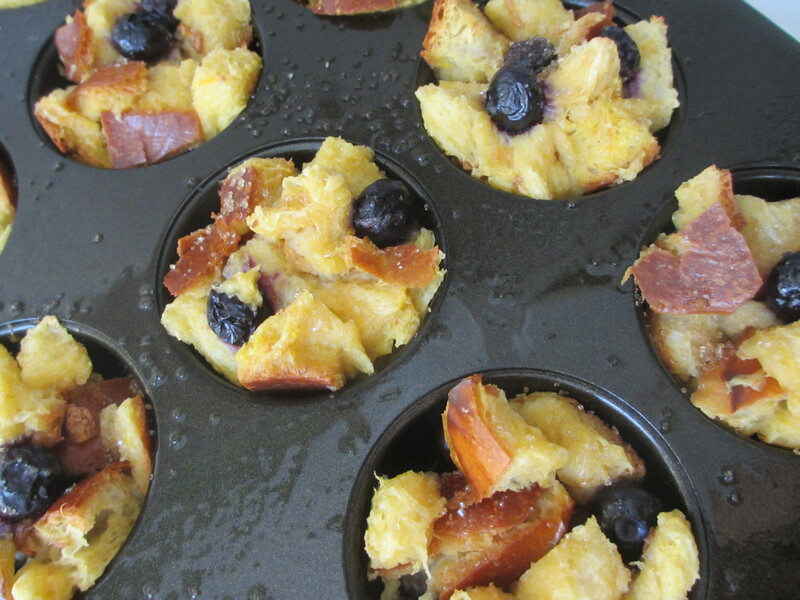 Coat a muffin pan generously with cooking spray and set aside. 3. In a large bowl, whisk eggs until they are well beaten. Add the milk, vanilla extract, maple syrup, salt and lemon zest; stir until combined. 4. Add the bread to the egg mixture and toss to coat making sure every piece of bread is well soaked. Mix in the blueberries. Transfer the bread mixture to the prepared muffin pan, making sure to pack the bread into each cup, so the base of each one is full. Sprinkle sugar on top and bake for 11 to 13 minutes or until browned and crispy on the edges. Let rest in pan for 5 minutes, then repeat with remaining mixture. Serve immediately with maple syrup on the side if desired or let cool on a wire rack then store covered in the freezer. SWWU Tip: These taste best when reheated in a 350°F oven for 7 to 9 minutes. In a pinch, you can warm one in a microwave, it only takes about 45 seconds. 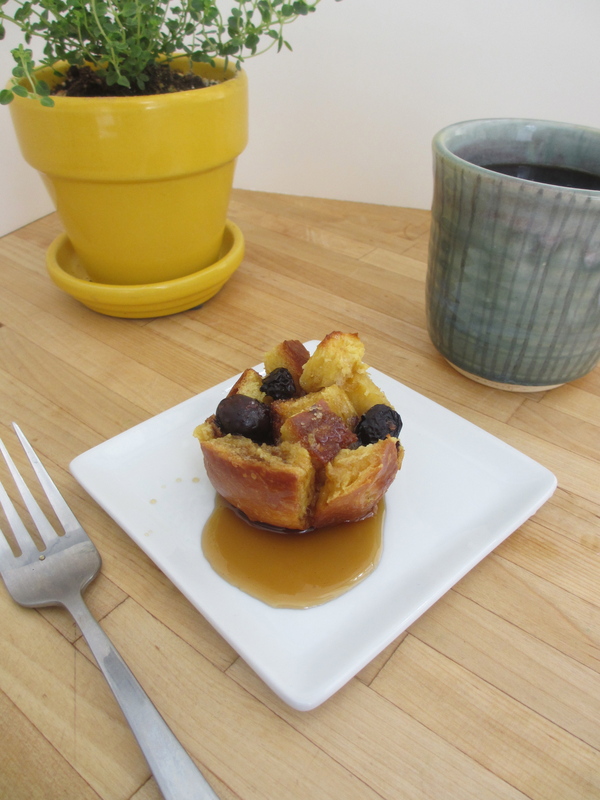 This entry was posted in In the Kitchen and tagged @SWWUblog, blueberry, breakfast, in the kitchen, lemon, mini french toast, muffin pan recipe, quick and delish, quick breakfast, recipes by Something We Whipped Up. Bookmark the permalink.